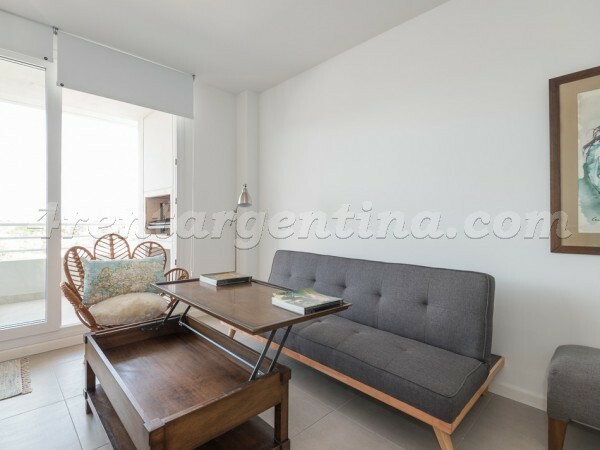 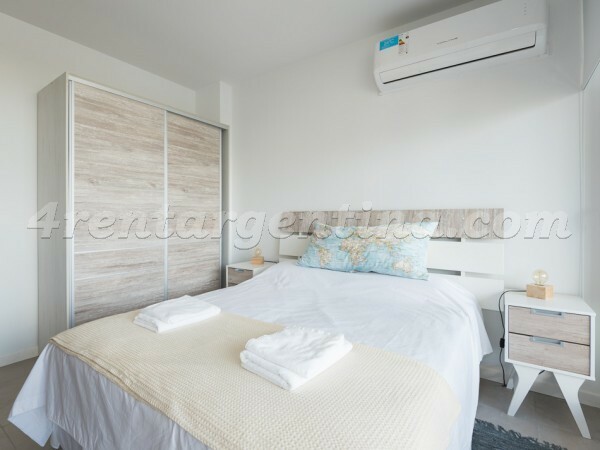 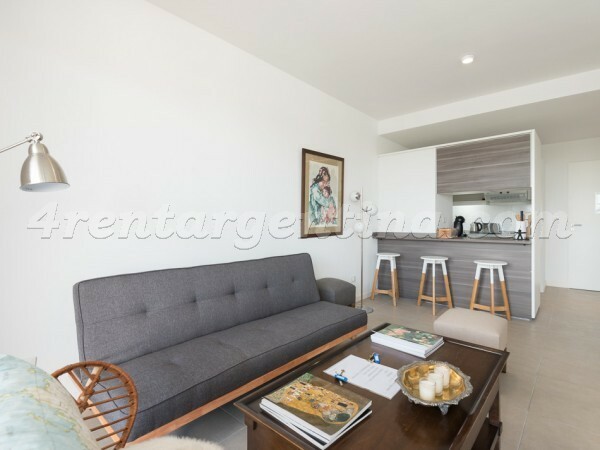 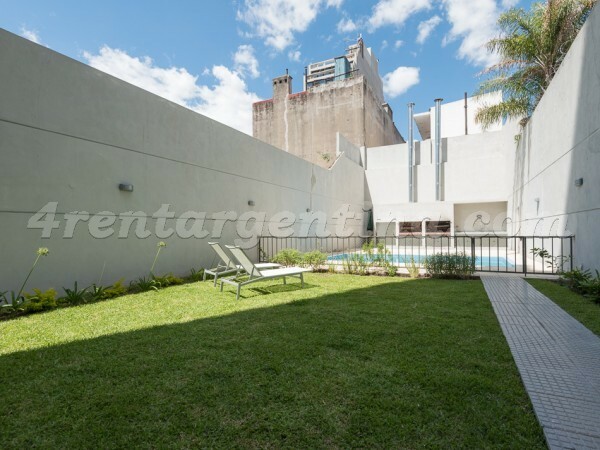 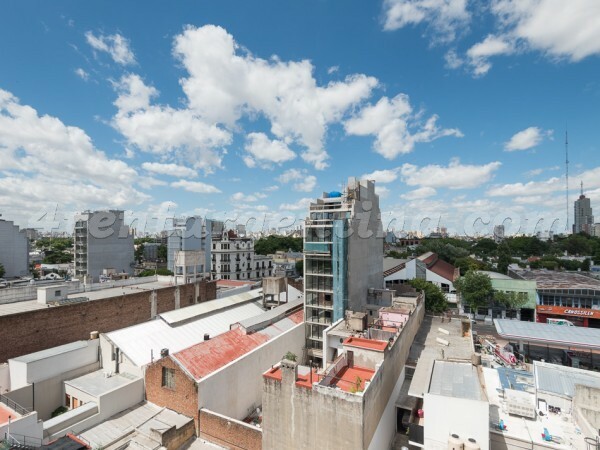 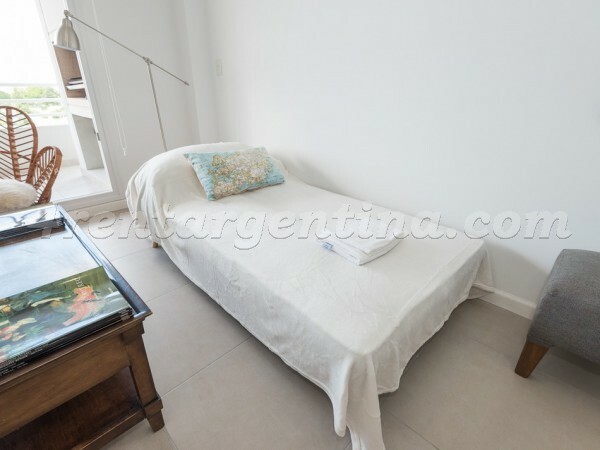 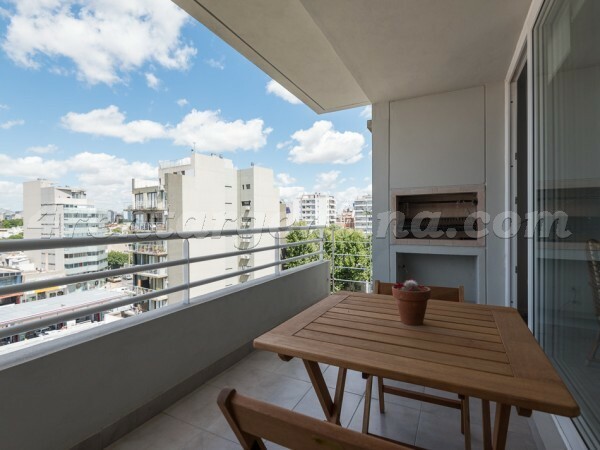 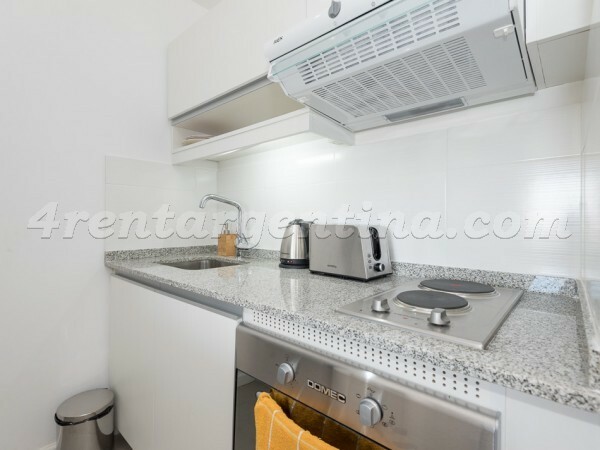 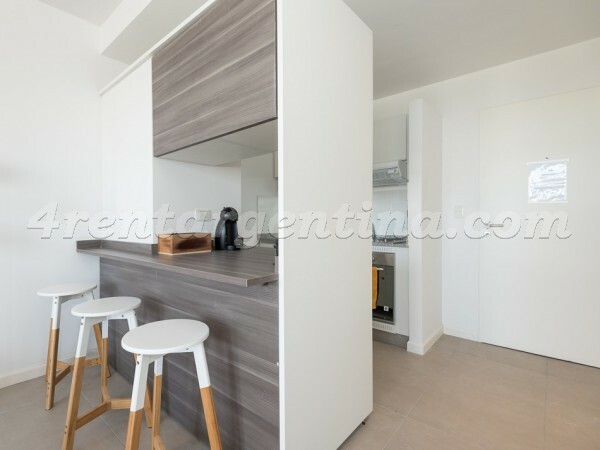 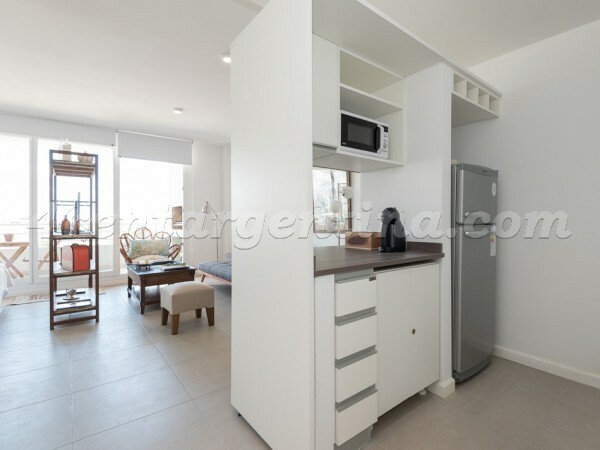 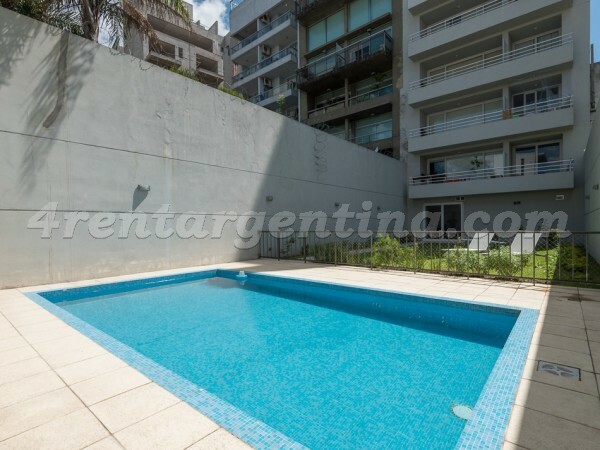 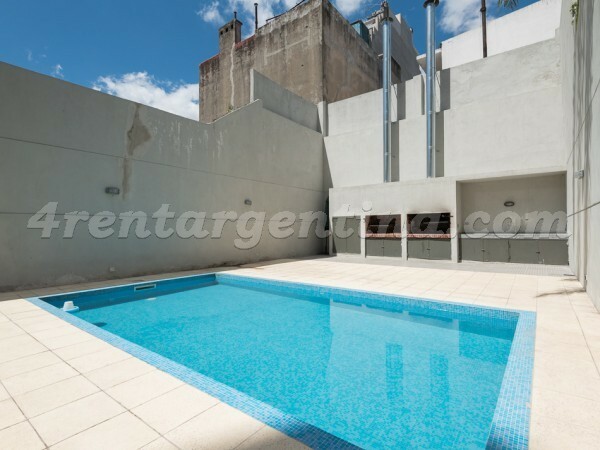 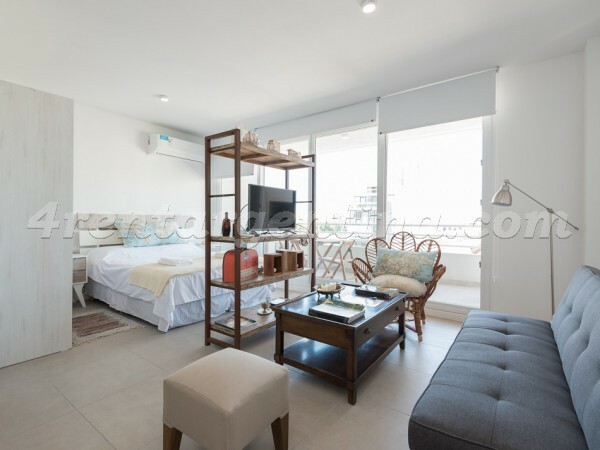 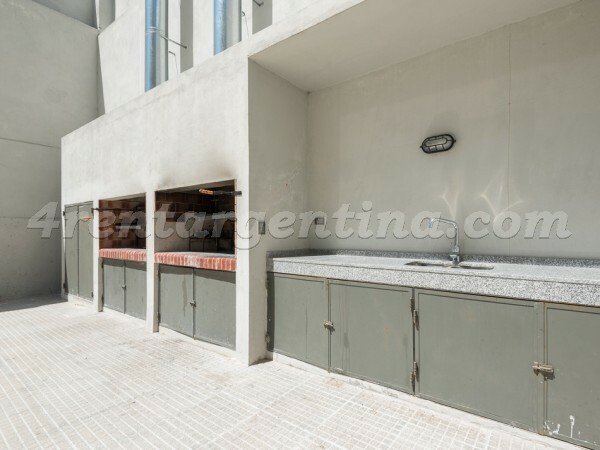 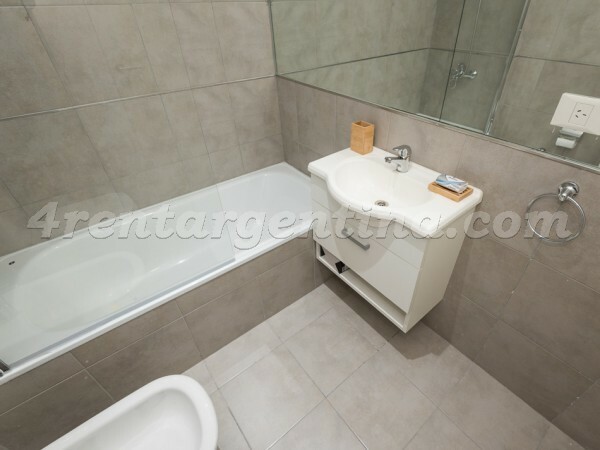 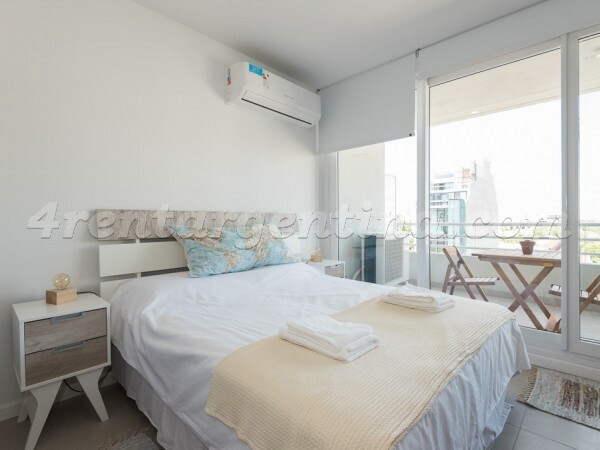 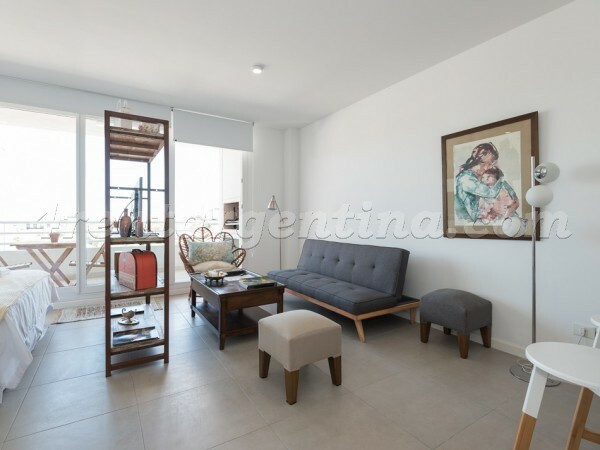 Bright studio apartment furnished for temporary rent in Buenos Aires, located in the Palermo Hollywood neighborhood, one block from Cordoba Avenue, close to the famous Plaza Serrano, where you can enjoy visits to shops, bars, and restaurants during the day and all night. 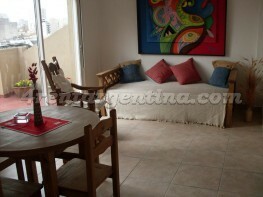 Is an area with different means of transportation such as different bus lines and subway line B. 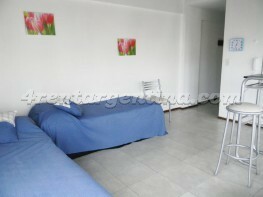 This modern studio is ideal for three people, has two single beds that come together to form a double and a futon. 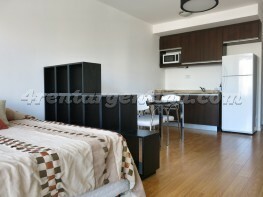 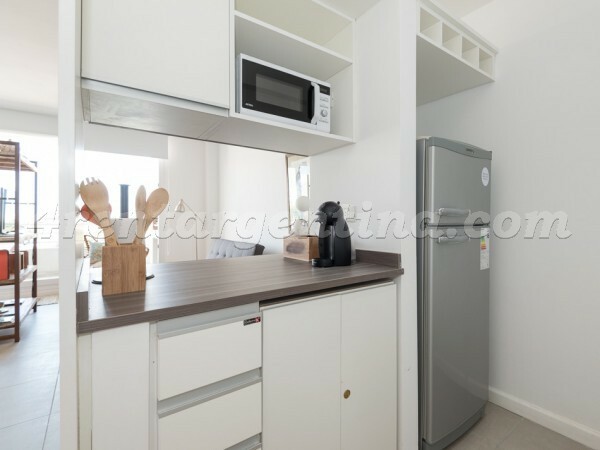 It has an integrated kitchen with breakfast bar fully equipped with refrigerator with freezer, stove and electric oven. 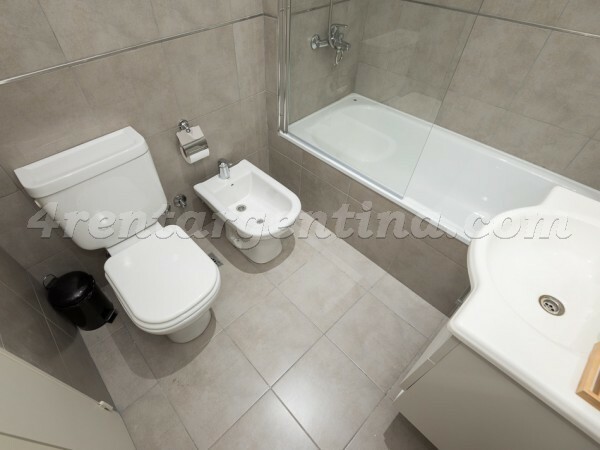 It has a full bathroom with bath and bidet. 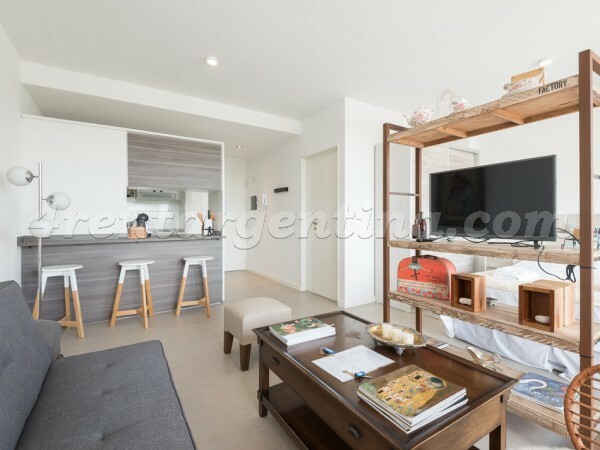 In addition, it has air conditioning cold - heat, LED TV, Internet service with WiFi and a terrace balcony with its own grill and its utensils. 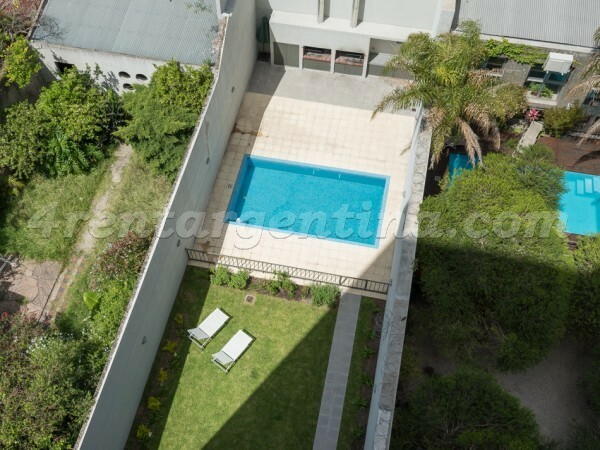 The building has a swimming pool, grill, solarium and garden in the same sector, as well as a bathroom on the ground floor.